Plastic profiles are obtained by extrusion using special machines for working plastic in the molten state using an extrusion die that models the profile. Many different types of plastic can be extruded, for example, PVC, Polypropylene (Moplen), Polyethylene and Nylon. Plastic profiles produced can be rigid or flexible. 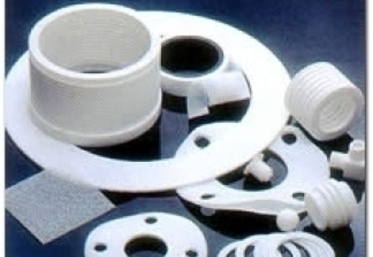 Flexible materials include plastified PVC, thermoplastic rubber, Polyurethane and others. Co-extruded profiles can also be produced that are partly rigid and partly flexible, and that can be used to resolve a multitude of problems. Apart from creating profiles, extrusion processes can also be used to produce plastic tubes of all sizes, and for all other purposes. AGED – with premises in Turin but operating over the whole of Italy – is able to provide all these types of profile, and is particularly specialised in plastic extrusion. Staff provide help and advice during the design phase, allowing the customer the full benefit of their know-how. The company is also specialised in producing auto-adhesive profiles through cold application of adhesive tape followed by thermo-activation. Further workings can be carried out on profiles and tubes, such as cutting to measure with optional end-shaping, application of hot melt to render adhesive, tube perforation for draining purposes (sub-horizontal drains).